Many organizations still process accounts payable (AP) manually, which tends to be time-consuming and error-prone. And such processes often lead to serious cash flow issues, late payment penalties, and low credit scores. To make sure this never happens to your business, you need to implement AP automation. AP automation software makes sure all outstanding invoices from vendors are recorded, verified, and paid on time. Since everything from data entry to payments are automated, this software eliminates repetitive, paper-centric tasks that are susceptible to clerical errors. Overall, this increases accounting efficiency, cuts costs, and gives finance staff more time to focus on more important projects. If you want to experience these benefits for yourself, here’s how to manage accounts payable with automation software. Processing invoices from various vendors can be extremely tedious work, especially if they’re sent in different formats. One company can send their invoices as PDFs, while another sends invoices in DOCX formats. Some suppliers may even provide paper invoices, which is far from ideal because you’ll have to manually enter invoice information in your accounting database. Document management systems (DMS) with AP automation features simplifies invoice entry. When an invoice (regardless of its format) arrives, its information is instantly extracted using smart document capture features, imported into your database, and processed for verification with minimal human intervention. It’s important to pay close attention to purchase orders, inventory receipts, and vendor invoices to make sure the goods ordered were received and that you are charged the right amount for each item. AP automation’s smart capture features can also be used to cross-check accounting documents to ensure billing accuracy. If your automation software detects any discrepancies between the quantity of products ordered/received and the price, it notifies you to contact your vendor right away to resolve the error. Before invoices can be paid off, they must go through step-by-step approval procedures that involve multiple AP staff. Instead of passing the invoices around the office, a more efficient way is to program your automation software to route documents to the right department and AP manager. For example, you can set a rule that distributes invoices above $10,000 to an AP manager responsible for approving (or denying) larger payments. If approved, the invoice will then be routed to staff responsible for writing the checks. 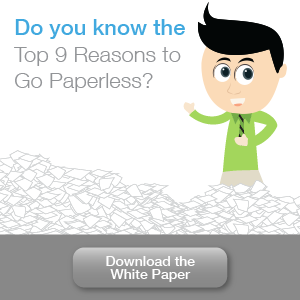 You can even create Automated AP processes that remind each employee of any unreconciled tasks. Entering invoices in your AP automation software not only records and verifies finance information in your database, but it also keeps track of bill due dates and schedules payments based on terms you set for specific vendors. To schedule payments, you need to add the vendor to your AP database and specify the period allowed to pay the bill, the preferred payment method, and whether there are cash in advance and cash on delivery demands. Setting payment terms for each vendor in your AP automation is important because it will create reminders that the invoice due date is approaching. Also, if your supplier offers discounts for early payments, your AP automation software will alert you so you don’t miss the cutoff date to take advantage of the discount. Finally, have your AP automation software archive resolved invoices in your centralized database. This ensures financial records are retained for audit purposes and in compliance with GAAP (generally accepted accounting principles) policies. Automating AP processes is one of the best decisions you can make as a business owner looking to save money and increase efficiency. 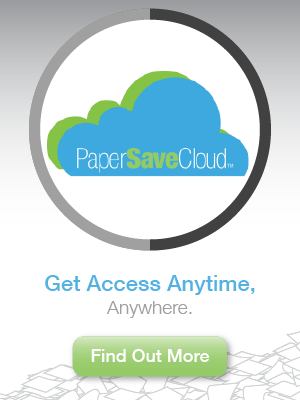 PaperSave document management systems integrates with cutting-edge accounting systems like Microsoft Dynamics GP, Sage Intacct, and Blackbaud Financial Edge to make your AP process as seamless and as hands-free as possible. 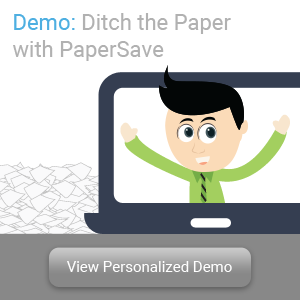 Request for a free personalized demo today!